Procrastination Meets Perfectionism - The Problem with "Starting Fresh"
Top Technology Leaders from Clean Tech, Mobile, Search, Cloud, Social Media, and Business Converge @ WITI's Annual Women and Technology Summit! Special Strategist Offer: Register for WITI's Annual Women and Technology Summit with Promo Code stratsum10 by August 6th to Save $200 OFF Full Registration! And More... Click Here for a Complete List of Speakers and Panelists! And More... Click Here for a Complete List of Participating Companies! Don't Miss the WITI Foundation Executive Auction and Networking Reception on Tuesday, September 14th from 5pm to 7:30 at the San Jose Doubletree Hotel: Bid on One-to-One Meetings with Senior Executives from Top Companies Such as GEICO, Symantec, eBay, Cisco, Genentech, McKesson or Charles Schwab. Proceeds from the Executive Auction support the WITI Foundation Projects such as the WITI Hall of Fame and WITI Next Gen (young women's programs). Join us for a fun evening of networking and socializing with the tech savvy community of Los Angeles! Come one, come all, bring your business cards, and schmooze with us as we enjoy the summer weather and good company! This Event is DISCOUNTED for WITI Members... Details! Click Here for a Complete List of WITI Network Events in Your Area! WITI is Committed to Creating New Possibilities for Your Future... See Details for Special Member Promos! Join WITI @ EOP's STEM Diversity Career Expo! Don't miss EOP's STEM Diversity Career Expo for members of minority groups, women, and people with disabilities in the Sciences, Technology, Engineering, and Math (STEM) career disciplines on September 16th in New York City at The New Yorker Hotel. This is a free job fair and it will be held from 10AM to 4PM. The address is 481 8th Avenue and 34th Street, New York, New York 10001. There will be many recruiters such as US Department of Education, Columbia University Medical Center, US Coast Guard, US Dept of State, Memorial Sloan Kettering, US Department of Labor, Prudential Financial, National Heart, Lung, and Blood, Merck & Company, US Intelligence Community, Social Security Administration, Port Authority of New York & New Jersey, Transportation Security Agency, New York Power Authority, Time Warner Cable just to mention a few, looking to hire you! 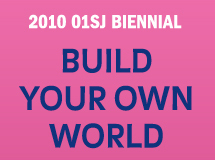 Join WITI @ the 2010 01SJ Biennial! Under the theme "Build Your Own World," ZER01, in collaboration with dozens of partners, will present�hundreds of artworks, performances, events, and artist talks, which not only imagine the future of the world but begin to build it. The event takes place�September 16-19 in San Jose, CA, immediately following the Annual WITI Women and Technology Summit! A General Admission ticket will provide you with an all around pass to the 01SJ Biennial including a single day admission to SJMA and The Tech Museum and a four-day pass to Out of the Garage into The World in South Hall. Member discounted Single-Day Tickets available: Buy Now Here! Also tickets for performances and special events, (limited seating available) like Requiem for Fossil Fuels, Season in Hell, and Midnight Concerts are now on sale online here. Please contact Sarah Beth at [email protected] for questions. 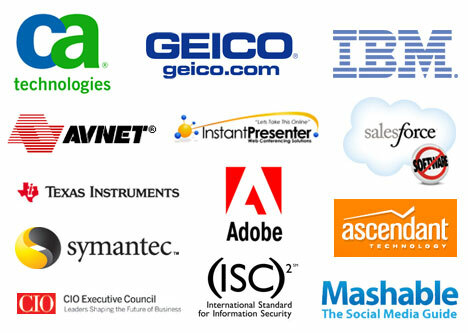 Join WITI @ Springboard's AllThingsMedia 2010! Are you involved with a digital media company that fills a need in our increasingly wired world? In an age when a great idea and a URL could become the next Facebook, YouTube, or Google, where do you go with this idea? Springboard Enterprises is now seeking program applicants for its 21st venture capital forum - AllThingsMedia: 2010 - which will coach and showcase investment-ready, high-growth media companies led by women. AllThingsMedia: 2010 will be the second-ever venture forum held exclusively for women-led entrepreneurial ventures in emerging media and entertainment - including television, radio, print, digital media, mobile, video games, search, social networking, e-commerce, online advertising, outdoor, animation, software and other innovations across the entire media space. Springboard's venture forums have presented some of the best commercial stage companies to the nation's investment community, including ZipCar, Constant Contact, Blurb and wowOwow.com These and the other 400 emerging growth companies that have presented at Springboard's 20 venture forums since early 2000 have raised over $5 billion in equity, grants and strategic investments. Which companies will be the next to make it big? Applications for Springboard's AllThingsMedia: 2010 are now open.